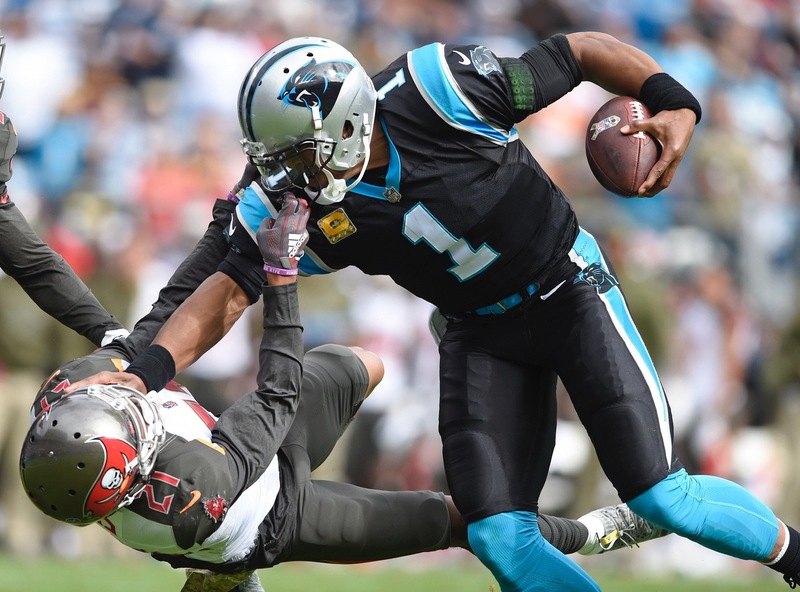 The Tampa Bay Buccaneers strolled into Bank of America Stadium on Sunday touting the top-ranked offense in the NFL. However, it was the Carolina Panthers who had the hot hand early, scoring a franchise-record 35 points in the first half en route to a 42-28 victory. Christian McCaffrey finished with 157 total yards and two touchdowns while Curtis Samuel continued his coming out party by adding a receiving touchdown and a rushing touchdown. Ryan Fitzpatrick started under center for the Bucs who were hoping to get their third win of the season. The Bucs entered the game averaging almost 468 yards of total offense; but they also ranked 29th overall in total yards allowed, giving up an average of 415 yards per game. Panthers defensive coordinator Eric Washington acknowledged earlier in the week that despite both Fitzpatrick and the benched Jameis Winston having “their issues”, both could light it up. After trading three-and-outs, Panthers safety Eric Reid gave the team a spark when he intercepted Fitzpatrick and returned it 39 yards down to the Bucs 10 yard line. From there, the Panthers scored touchdowns on their next five possessions and took a 35-14 lead into halftime. While Panther cornerbacks Donte Jackson and James Bradberry rendered top targets Desean Jackson and Mike Evans ineffective, the Bucs were able to get on the board courtesy of a pair of touchdowns by tight end O.J. Howard. The Panthers have had their hands full the last couple of weeks when it comes to defending the tight end position. According to head coach Ron Rivera, there’s no need to panic just yet. I think, again, we will continue to work the way we do things. Again, you also look at the fact that we have played against some really good tight ends but what they also have had very complimentary wide receivers. I guess you look at it and you sit and we think about how do we beat teams with great players like that. You have to be able to keep them in front of you. Unfortunately, somebody is going to come up and make a play for them and the tight ends have done a great job to take nothing away from those guys. Our guys are battling and doing the best they can. Naturally, fans were looking forward to the showdown of the Jacksons – Donte vs Desean – but didn’t get much action in the first half as Desean was only targeted once. 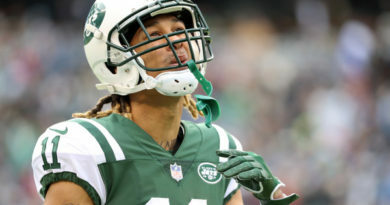 The reluctance to throw on Donte’s side of the field could stem from the rookie’s solid performance thus far this season – he snagged his fourth interception in the second half. Donte is now tied for the league lead in interceptions thus far this season. On the other side of the ball, Bradberry played what both he and Rivera consider to be one of his most solid games. Evans was targeted 10 times but only caught one pass for 16 yards. Aside from Howard, Adam Humphries helped to pickup the slack catching eight passes for 82 yards and two touchdowns. 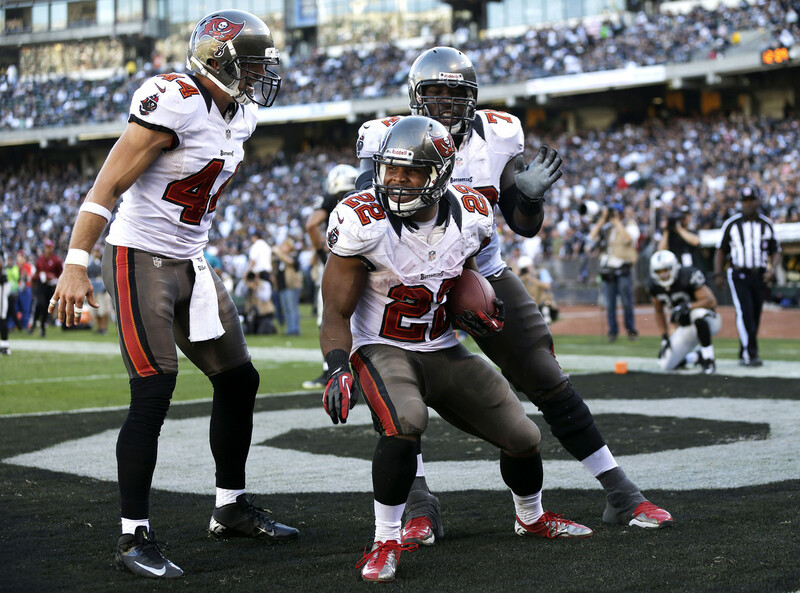 It was Humphries’ second touchdown in the third quarter that brought the Bucs to within a touchdown. The Panthers began the fourth quarter out of timeouts and clinging to a 7 point lead. 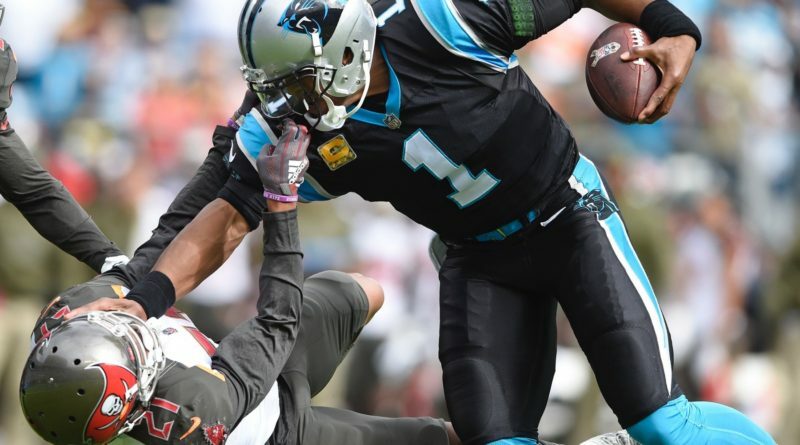 Despite 15 yards of penalties, Newton connected with Samuel for his second touchdown of the day and the lead was pushed to 14 with a little over 9 minutes remaining in the game. Donte Jackson intercepted Fitzpatrick with 3:45 remaining to seal the victory. While the offensive production was impressive, the Panthers had a few standouts on the defensive side of the ball as well. Defensive end Mario Addison had a career high 3 sacks and a forced fumble. Two of those sacks came back to back and forced the Bucs to their own 6-yard line. Captain Munnerlyn led the team with eight tackles. Fitzpatrick finished 24-40 for 243 yards, two touchdowns, and two interceptions while Newton finished 19-25 for 247 yards and 2 touchdowns. It’s a short week as the Panthers prepare to travel to Pittsburgh to face the Steelers on Thursday. The Panthers move to 6-2, 1-1 in the NFC South division.